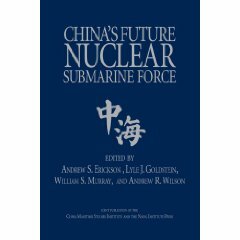 Andrew S. Erickson and Andrew R. Wilson, “China’s Aircraft Carrier Dilemma,” Naval War College Review 59.4 (Autumn 2006): 13-45. This article won the Naval War College Foundation Capt. Hugh G. Nott Prize (first place) in 2006. 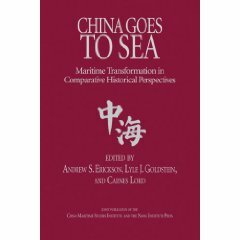 It was also selected as “Must Read” by the Council on Foreign Relations (an “index of the best online analyses and inquiries on foreign policy”). 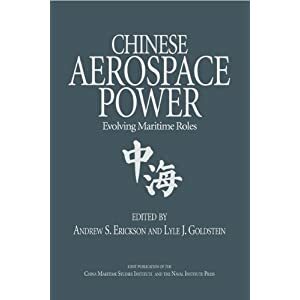 Of the issues that confront Chinese naval modernization, the most comprehensive and far-reaching is the extent to which Beijing has faced a choice between a navy focused on large-deck aviation and one based fundamentally on submarines. The answer is the simplest possible–not at all. 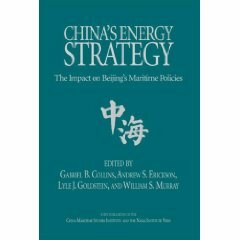 China has yet to confront the issue in any meaningful way, and that is so because its technology, assets, and facilities are far from a state that might force the issue. Whether it makes sense now for China actually to develop an aircraft carrier has apparently been the subject of considerable debate in China. At the same time, however, dismissing China’s carrier aspirations could be myopic, given its rapid development of all other major aspects of its navy over the past few years. Submarines currently dominate China’s naval development, but they might not do so indefinitely. China has made great progress in many dimensions necessary to support the development of aircraft carriers, though in some areas it is unclear whether substantial efforts have been made at all.